You hear them first—a distinctive bark that reverberates throughout your body. Then they come into view and you can hardly believe your eyes as you gaze upon an aggregation of goliath groupers. 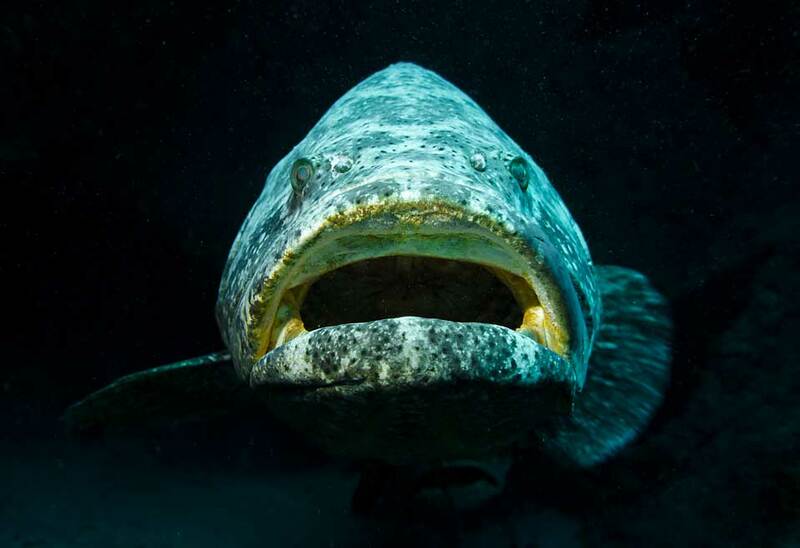 The offshore reefs of Jupiter, Florida host a year-round population of goliath groupers. In late summer, this protected species gathers to spawn. During peak season, you can expect to see sixty or more of these gentle giants congregated along the Jupiter Wreck Trek.